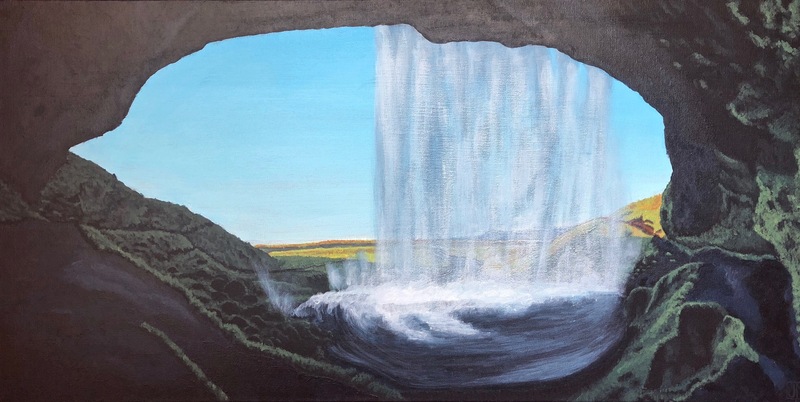 Third in the series of waterfall paintings comes Iceland’s Seljalandsfoss along the Southern Coast. While not as large as Gullfoss or Skogafoss, Seljalandsfoss is spectacular in that one is able to walk behind the falls themselves. This painting captures the view looking out to the landscape that eventually meets the Atlantic Ocean. Glazing techniques were used to create depth within the shadows of the painting.